Can I create my own design from scratch? /Personalizing Your Items /Can I create my own design from scratch? Yes, you can create your own design! Start by going to our Create Your Own Card page, located here. Click on the card dimension you would like to create. 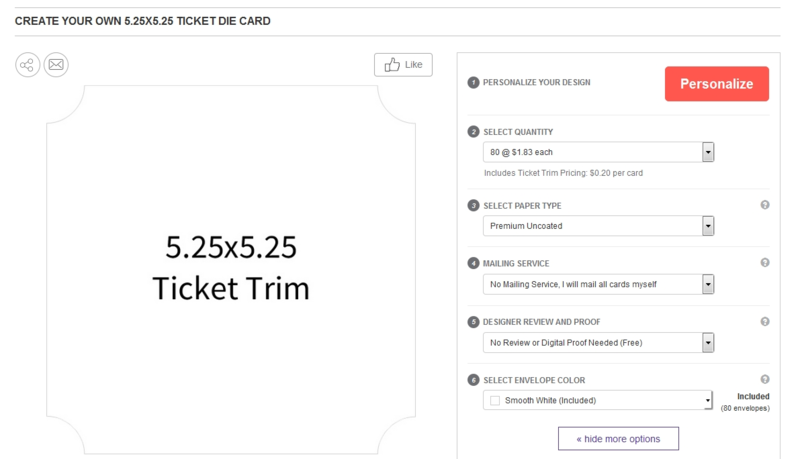 After selecting a size for your card, click the Personalize button. This will take you to the Design Center where you can create the card you have in mind. You will have access to all of our tools to build your design. You can add text, use our embellishments and background options, even upload your own photos! Arrange your design so it fits within the crop lines. If you have uploaded a high resolution photo and it appears blurry in the Design Center, don’t worry — the finished product will look crisp. High resolution photos appear to be of lower quality in our Design Center because we temporary bring down the resolution so the software runs smoothly. Your printed design will look as clear as the photo you upload. If you’re concerned about your photo quality, please feel free to contact our customer service team for assistance at 425-484-1054 or 888-604-6089 between 8 AM PST and 4 PM PST on weekdays or by email at support@purpletrail.com.